The visual content served during Type@Paris course was overwhelming. On one side we had the privilege to see the Gutenberg Bible, and countless examples of books based on German blacklettering tradition. Its power, massiveness and precise craft — even in a very small details were extraordinary. And there is the Roman Tradition on the other side. The examples collection in Musées gallo-romains in Lyon were in much bigger size — but the precision wasn’t smaller. It was stunning, too. The main idea was to keep relatively heavy vertical elements, as an inspiration from the blacklettering style. 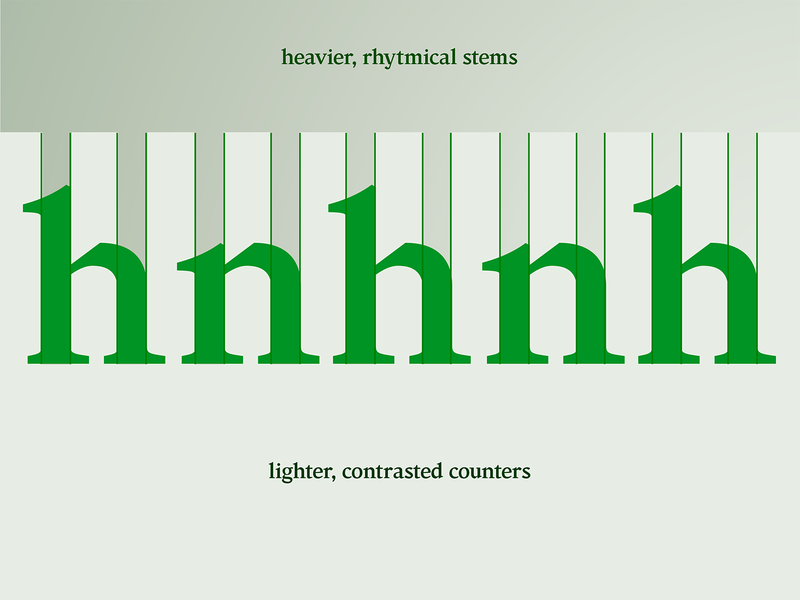 It was crucial to wind the proper width, contrast and proportion for the “key letters” (n, p, f, etc…). The progress was aimed to reach stable proportions, regular widths and well-balanced counters — to achieve smooth and eye-friendly shapes. The last element of the structure are the terminals. Top terminals of “f, c, r, s” are inspired by handwriting and try to smuggle this calligraphic flair. The same applies to the bottom terminals of “t & e”. 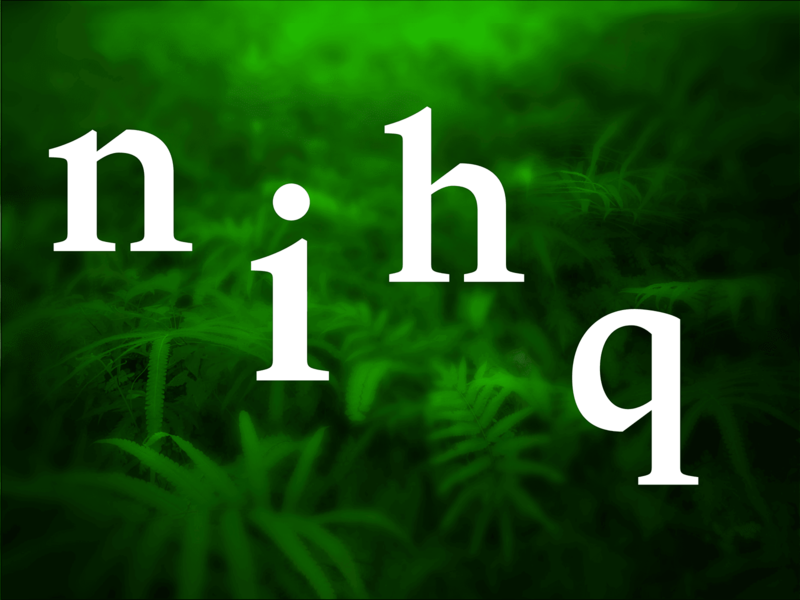 A nice addition are alternate versions of “n, h, i”, whose bottom parts end in the similar way. The structure have been enriched by serifs. 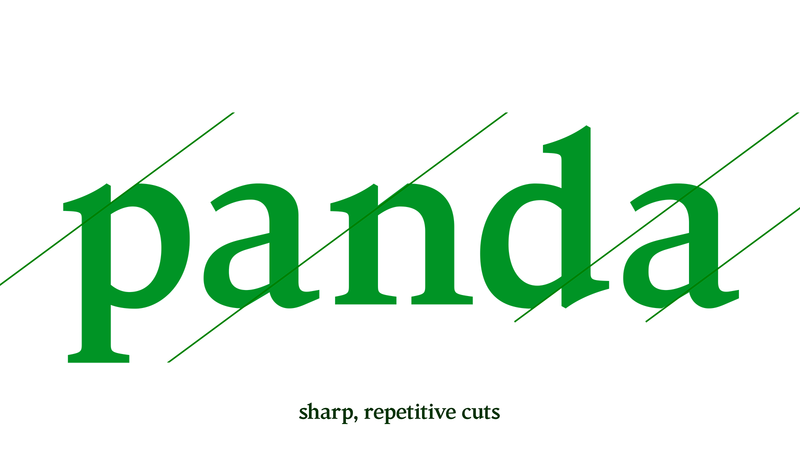 They are gently tappered toward their endings, like in many classical serif type families. The same system applies both to lowwercase and uppercase (which is slightly differently constructed: the “calligraphic flair” is reduced). The interesting thing is that all the serifs are asymmetrical, but it is done in a consistent way, to avoid spacing problems. The only exception is the “T” that has to be completely symmetrical, to remain steady. 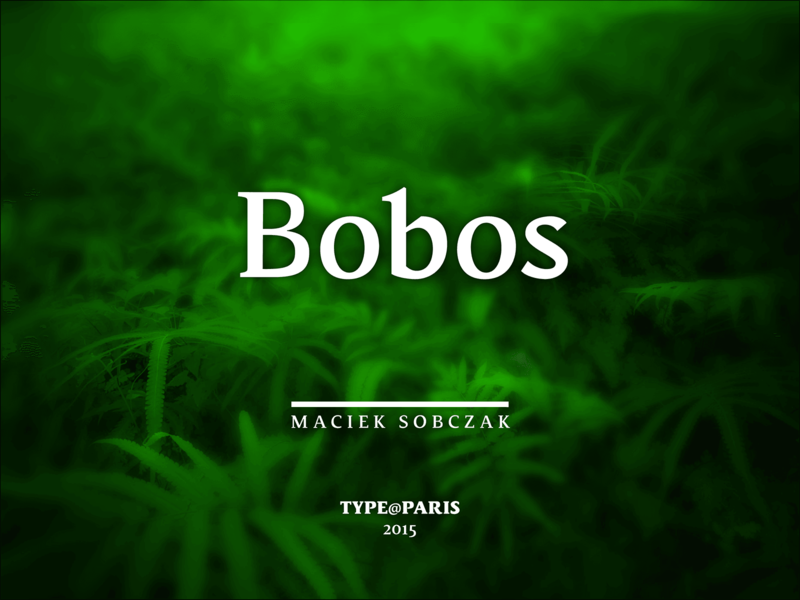 The word bobos comes from a book by David Brooks and is an abbreviation of the words: “bourgeois” and “bohemian”. It suggest a new social class. The class located between the hedonistic (and artistic) bohemian & the white collar, capitalist bourgeois. So “somewhere in the middle” — one more time! Bobos typeface seems to be a font with a very strong personality that may perfectly work on food packaging. It is dry but modern — with a deep respect to heritage (which is also crucial in brewery or baking). During the Type@Paris course, the regular weight have been designed, which supports both the central- and western-European Latin languages. 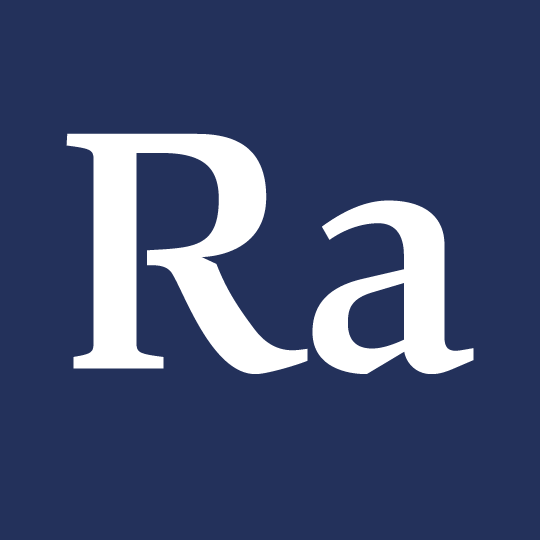 Additionally there also some standard ligatures, alternate glyphs, and a grasp of frequently used symbols. The characters range is expanded by two sets of figures (oldstyle and lining). 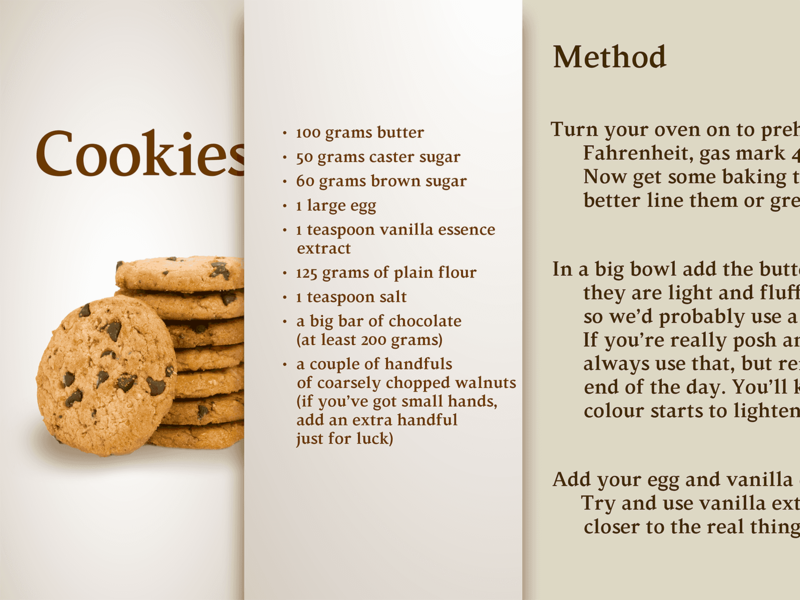 The bold (or even heavy) version in uppercase & lowercase was finished also, in the last days of the course. It may be a good starting point for the next steps, a solid basis for expanding the font in the future.